It may have been years since Harrison Ford had become part of the original Star Wars franchise, but he’s still open to reprise his role as Hans Solo on the planned “Star Wars Episode 7”. 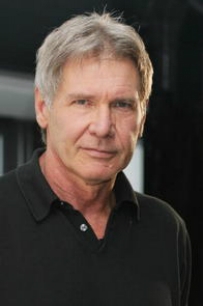 Ford, 70, is said to be enthusiastic about the new film and the possibility of reuniting with other actors who had become part of the original sci-fi phenomenon. Plans on the new Star Wars film were announced by Disney last week and part of these plans was to have Ford play Hans Solo once again. Mark Hamill, who played Luke Skywalker on the original film, and Carrie Fisher, who played Princess Leia, were also said to be considering the idea of playing their old roles on Episode 7. It hasn’t been too long since the news of Disney’s acquisition of Lucasfilm was announced. This gave Disney rights to the Star Wars franchise, which cost them $4 billion in cash and shares. Episode 7 is set to be released in 2015. Hans Solo’s character should have been killed on The Return of the Jedi, but director George Lucas decided otherwise. Back in 2010, Ford was not too happy when Solo’s character did not die as planned and added that the character was not so interesting to him. But perhaps the actor has had a changed of heart, which would probably do the new movie some good.